Windowsill orchids are a houseplant favourite and I repeat and update some tips given 3 years ago. Always cut off dead flowers. Excessive or incorrect feed and poor light make the plants produce very large leaves and few flowers. It is quite natural as plants age for the old leaves to die back, and the ends should be trimmed off, especially in winter. In March or April gradually start watering more often and commence feeding. Do not over-pot you will get more flower by keeping on the pot bound side. Using half of three quarter depth pots is a good idea. Given this treatment you will be rewarded by a continuous display of flowers from about May until well into winter. You will also find the flowers are good for cutting. Shallow pots are recommended but I find the roots quickly mat up and become hard to water. Dibleys attend a large number of plant & flower shows where plants can be bought. Cyclamen are easy and rewarding houseplants to look after as long as you control the watering. Keep indoor Cyclamen moist but do not stand them in water. 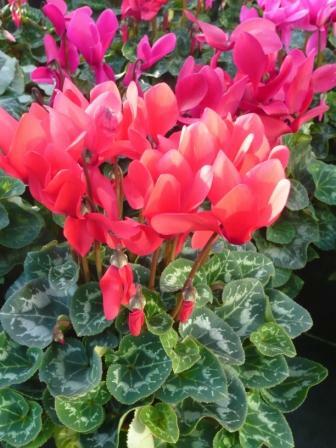 Keep indoor cyclamen in humid conditions by putting the plant on damp gravel or special clay granules. Put the Cyclamen, pot and all into a larger peat filled pot and keep the outer pot very damp. Pick a pot with good fresh leaves. If the pot end is heavy it has some water in the compost. Indoor or florists cyclamen are more tender than outdoor cyclamen. They are usually periscum varieties in bright colours. Twist off yellow leaves and spent flowers near to the stem. Keep cool about 50-60° and away from direct sun and strong drafts. Soft leaves are a sign of needing water or having too much water. If the later stop watering take out of the pot to help drying and leave to refresh itself before repotting. 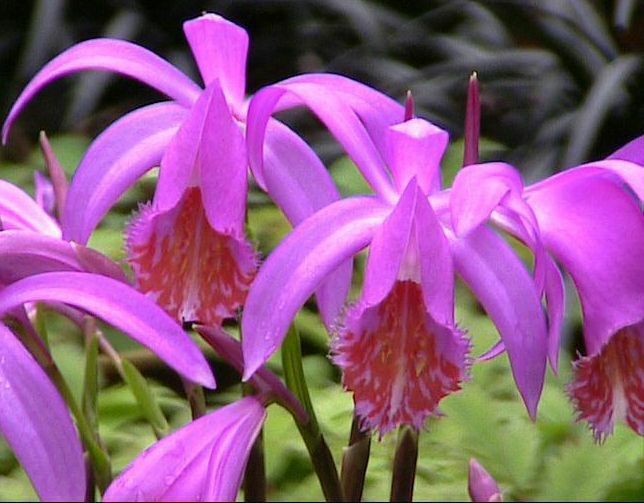 Pleiones are charming orchids grown in pots from a pseudobulb that splits into two or more after flowering which helps to increase your stock. The flowers arrive first on 6-8 inch stems in spring followed by 6 inch long 2 inch wide leaves. Also known as the Windowsill Orchid or the Indian crocus Pleione species (20c) or hybrids (250c) are available in many colours including yellows, pinks, whites and purples. Most have the spotting on the lip or patterned colouring. Pleione should be planted in bowls or pots with about one third of the bulb showing and one third of the pot filled with crocks. Drainage is more important than the composition of the compost and roots should not be allowed to become waterlogged. Plant in cool conditions early in the year and allow to warm up through summer to no more than 25°C. Plants need a cool resting period in Autumn and Winter. The stringy roots can be trimmed to 2 inches before replanting. Feed plants once the leaves start to emerge with a weak balanced feed but do not allow to stand in water. 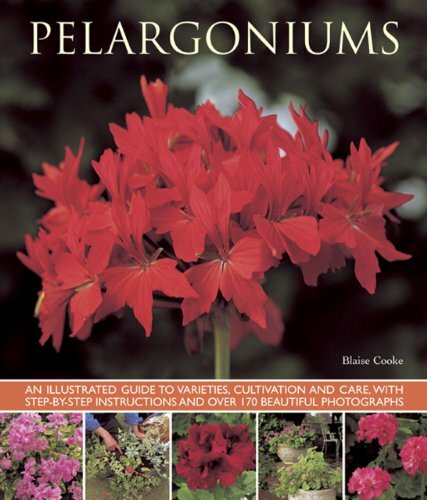 It is the scented leaves of Pelargoniums rather than the flower that attracts growers and collectors. 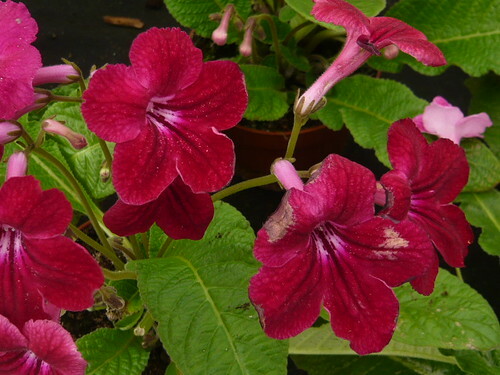 They are often used in scented gardens for the blind but are useful in a normal garden border where they may be brushed or touched. As indoor pot plants they are ideal as living pot-pourri and may be hybrids or species in their own right. Pelargonium Fragrans Variegata a small plant with lots of scented green and white leaves with the aroma of spice, pine and lemon. 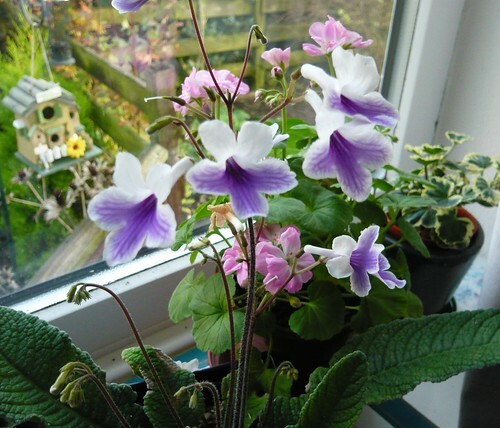 Houseplants in pots are popular windowsill subjects but broaden your horizons. No greenhouse or conservatory but lots of windows? Then you can grow a range of plants using the windowsills or a shelf under a window. Chose small plants and pots that are and will be in proportion to the width of the windowsill. Tender plants may suffer in winter behind curtains but with good double glazing I do not bother moving most plants at night. Herbs will be many gardeners first choice and curly or flat leaved Parsley are likely to figure most frequently. Basil can be used as cut and come again and is available in several varieties so I would add this to any list of windowsill plants. The hot and steamy conditions of many kitchens don’t help all plants but ferns and Orchids usually like these conditions particularly on North or East facing window ledges.